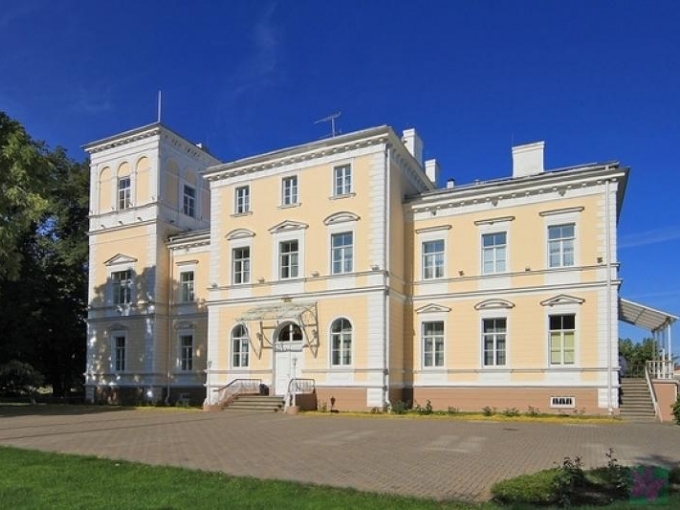 Only 76 km from the capital city of Riga but far enough from the haste of the city and daily worries stands the elegant Igate manor house built in the style of neo –Renaissance. The manor house and its picturesque surroundings are a perfect holiday destination, a stop travelling around Vidzeme, as well as an excellent location for celebrations – romantic weddings, elegant banquets and balls. The second and third floors of the Igate manor house are handed over to visitors of the hotel. We offer an unforgettable holiday in either one of the luxurious rooms of the second floor or the romance and simplicity of the countryside in the mansard room with the uncovered beams of the roof. For very special occasions of life there is a room on two floors with a bubble bath. Don’t drive past the”Dzirnavu krodziņš” (Mill pub) of the Igate estate – a pub located by the side of the road. Here you definitely have to taste the mealy barley porridge cooked from the grain grown by the local farmers and ground in the local ”Krodziņš” mill. After the delicious meal, take a walk in the well – maintained park of the estate, see the interior of the manor house and the exposition dedicated to a man from our region H. Legzdiņš - the Commander Senior Grade of the submarine “Ronis”.